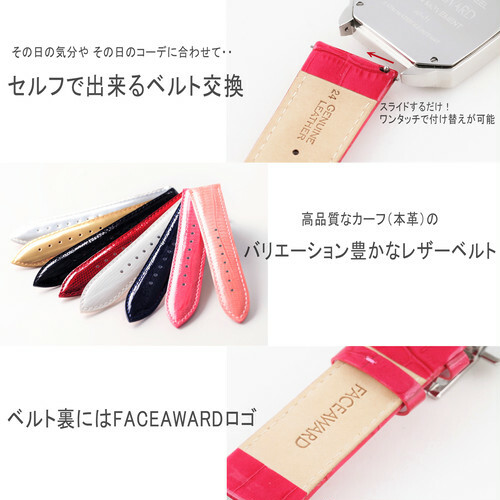 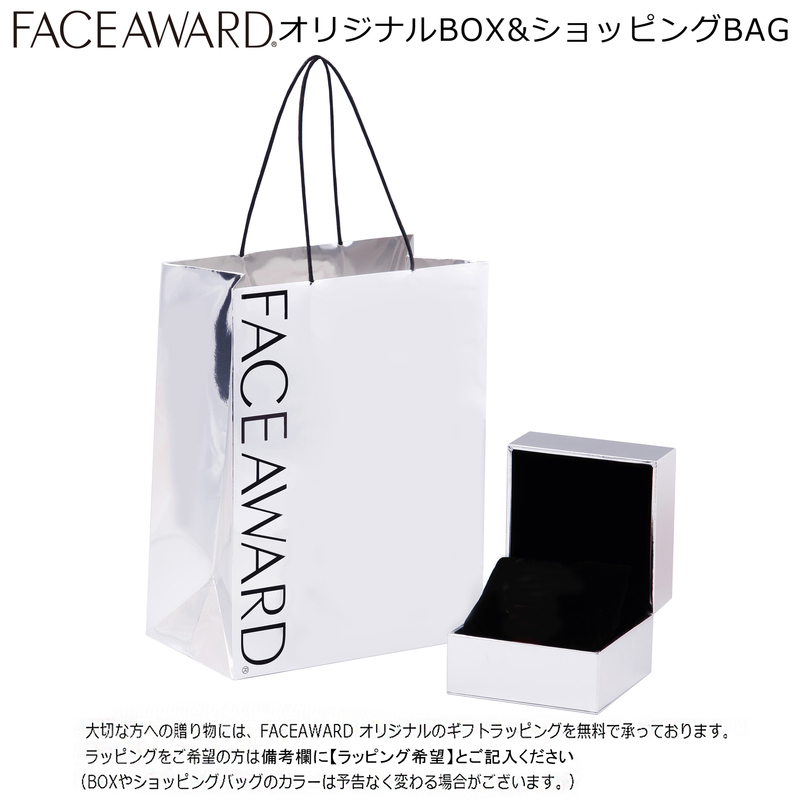 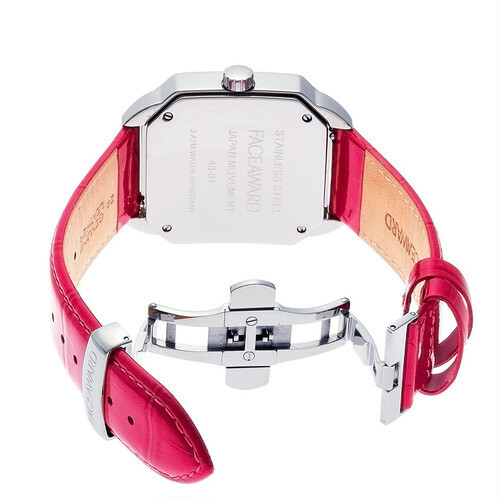 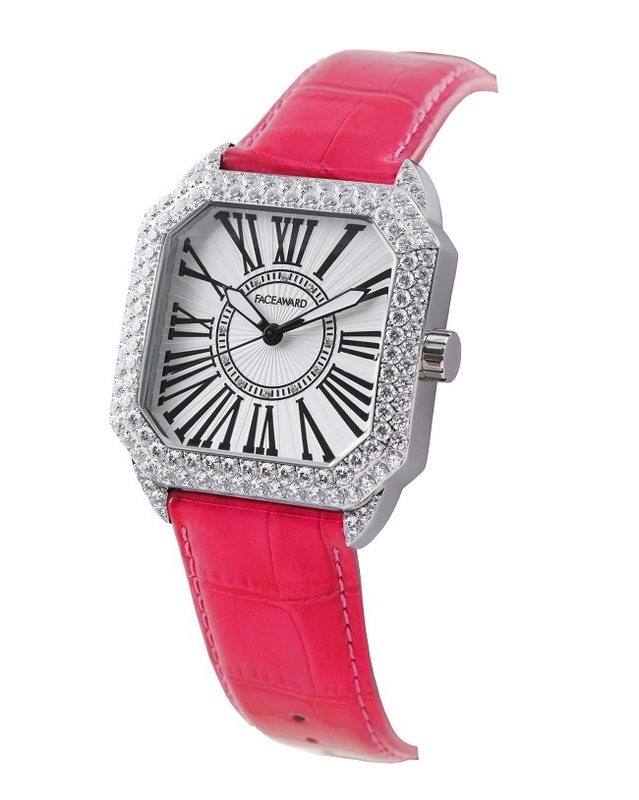 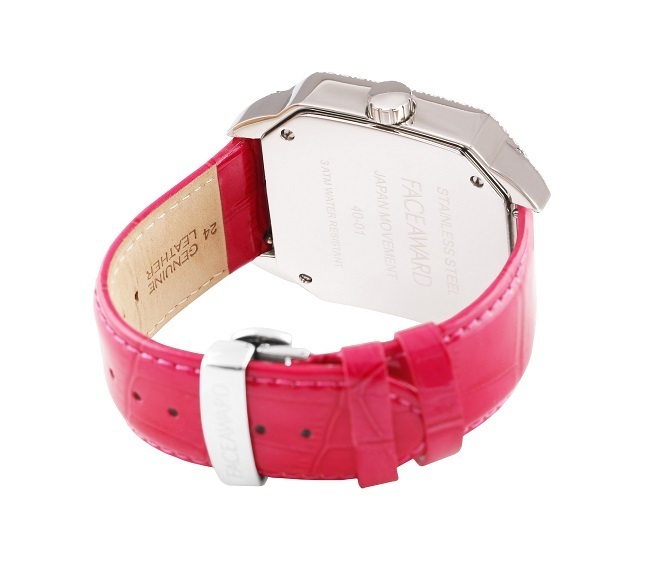 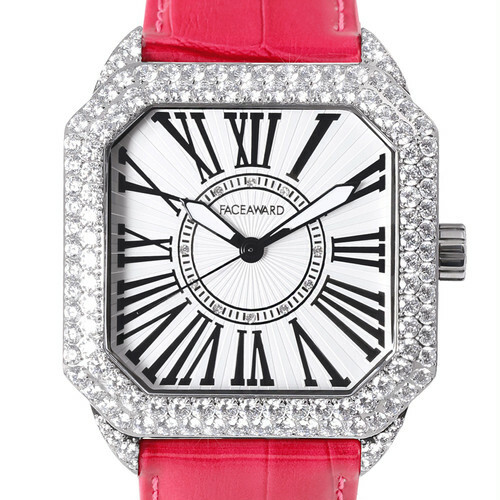 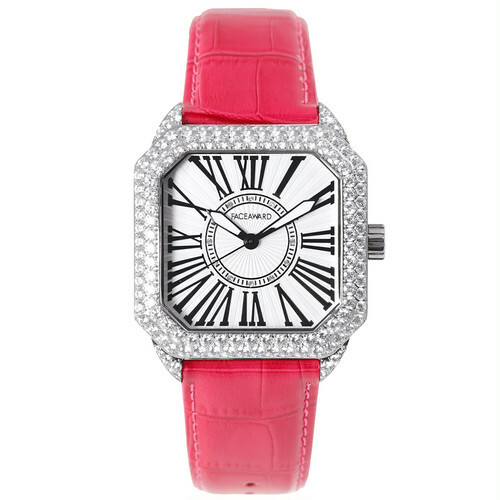 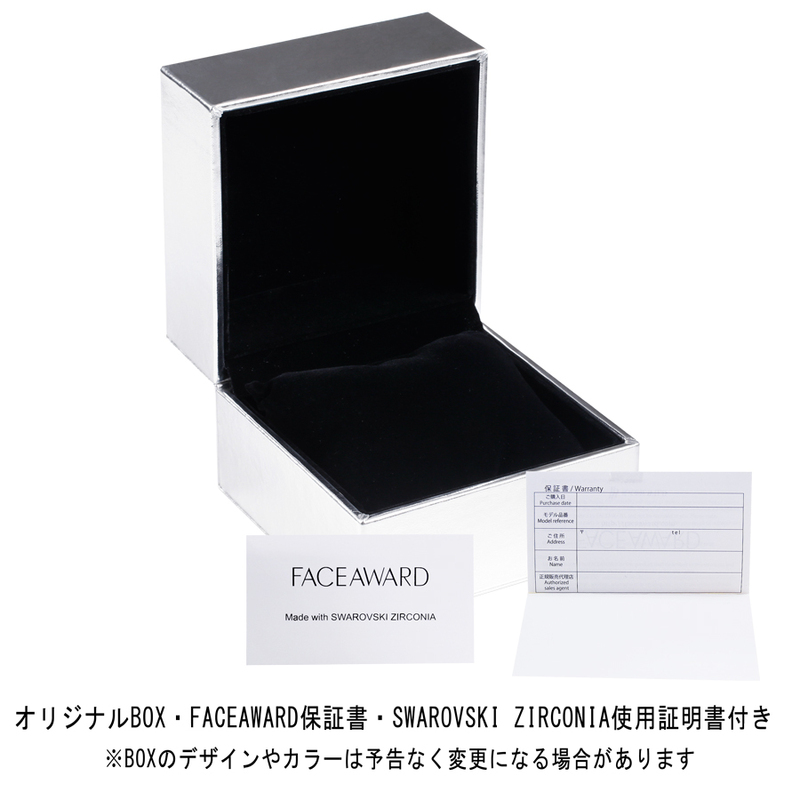 In an octagonal square case of FACEAWARD's watch, Swarovski®Zirconia of a bezel is a collection of a luxurious way with double jewelry setting and a popular series for both men and women. 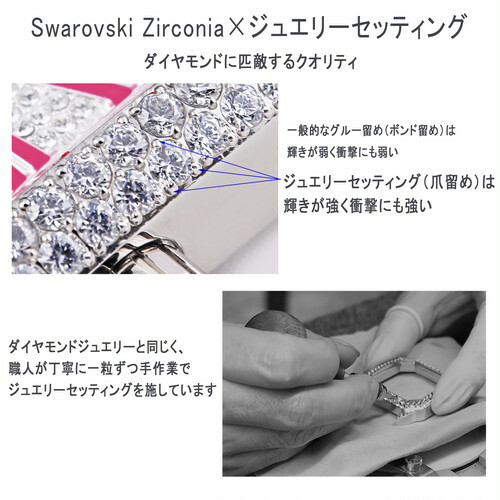 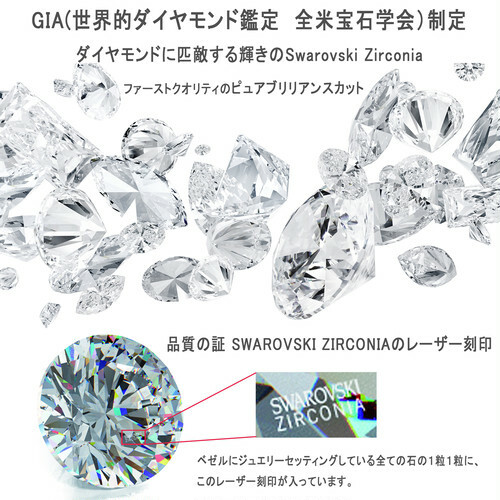 The first class Swarovski®Zirconia 128pcs made by SWAROVSKI® and lavishly decorated with the bezel , like diamond jewelry, has been carefully done claw stop one by one. 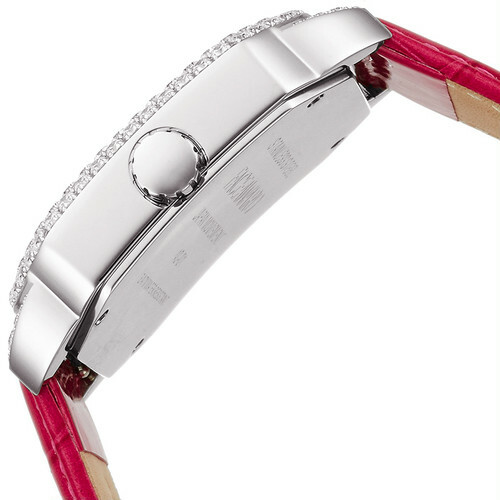 The dial has variations such as a wavy dial which is perfect suitable for formal and a dial with a feminine shell, so Swarovski®Crystal of 12 points of SWAROVSKI® glows elegantly. 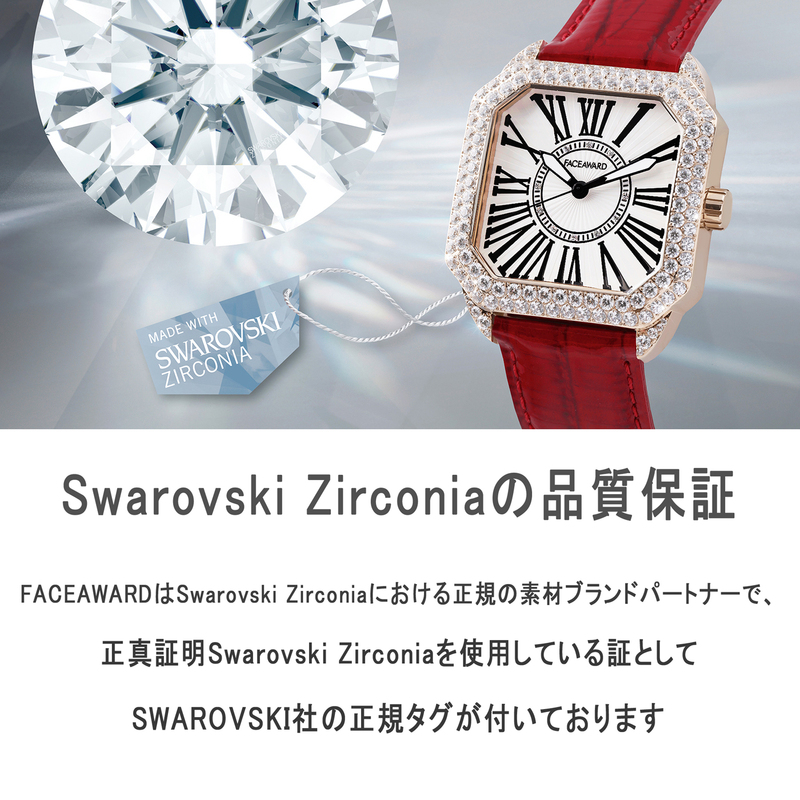 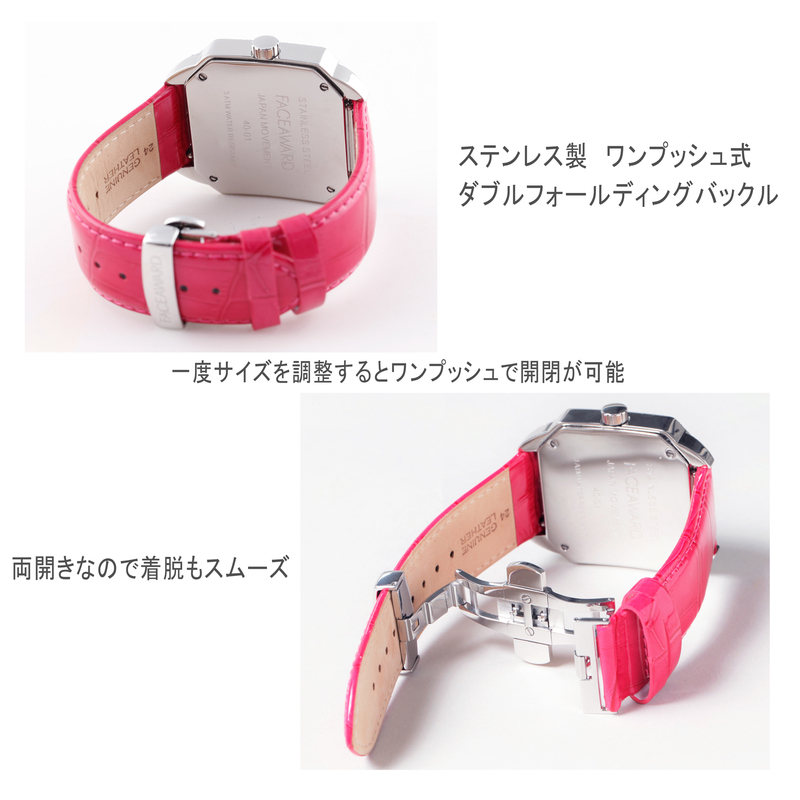 It is the elegant design with a sense of luxury.